If you’re one of those people who say they don’t care what happens after they’re gone spend some time thinking about those who are important to you. Those you leave are going to care. Those who haven’t had the chance to have a conversation with you about your wishes are going to wish they had that chance. You’ve heard about families that spend years litigating wills after someone dies. If you haven’t heard about this, understand that it happens. The more money that’s involved, the more likely it will be that litigation is the end result. This is especially true if you haven’t shared your will. I know you don’t want to talk about your death. I get that. If you like the idea that lawyers and courts will decide what you want, then by all means don’t have a conversation. I want to ask you a question, “Do you like surprises?” I bet the answer is no. If that is true then why would your loved ones like surprises? Especially after you can’t speak for yourself anymore. Do everyone a favor, talk about what’s in your will before you die. Here’s the next step you need to take. Don’t stop at just telling people what’s in your will. Take it one step further and ask them what they think. 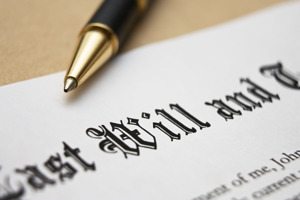 Start a discussion about what’s in your will. You will probably find that those you love will have an opinion. When those you love tell you what they really think you might have a tendency to not listen to what they’re saying. You might want to do just do what you want to do. If that’s your wish then you need to be clear about that. You can say that this is not open for discussion; I want you to know what I’ve decided. It’s really very simple. Have a conversation before you die and I recommend several conversations as a way to keep family harmony after you’re gone. Isn’t this something that you think is important? We have a special report on the basics of estate planning. This report doesn’t talk about the soft side that we’ve covered in this post, but it does talk about the mechanics that you’ll need to do. To get this report, click on the button below.